If fire wasn’t the first thing invented, it was probably the second. The human race has had a long relationship with fire, and now you can use it to charge your smart phone, GPS, or anything else that you can connect to this thermoelectric generation using a USB cable. 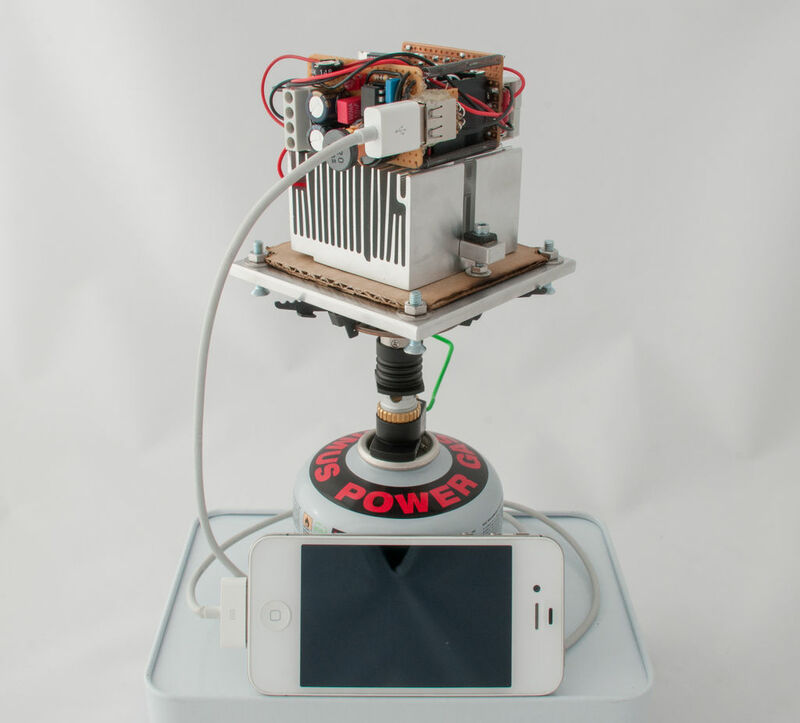 David Johansson, from Göteborg in Sweden, has built a thermoelectric generator that provides enough power to charge a cellphone. 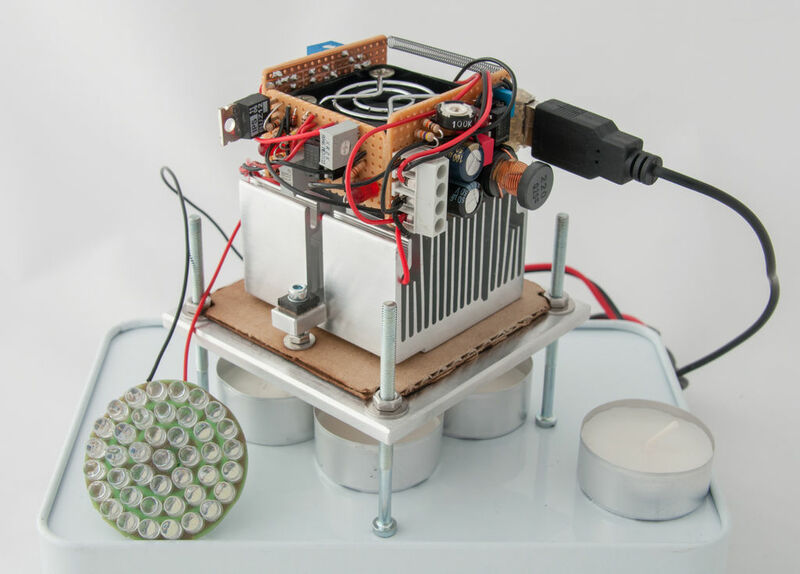 Making use of a thermoelectric module (a Peltier element, or TEC/TEG), more commonly used in the opposite direction in small refrigerators to cool things down, and the Seebeck effect, David has built a generator capable of providing 5V and 0.2A — enough to charge a smartphone. Compatible with the alcohol or gas burners that he takes camping, or using tea lights to generate what I’m guessing is a lower current probably not enough to charge a phone, the generator is remarkably compact. Whilst this isn’t the first portable thermoelectric generator I’ve seen, for instance last year the tPOD1 was a was funded on Kickstarter and is now available for sale, this is the first time I’ve seen something like this produce enough power to charge a smartphone directly — and still be small enough to take hiking. David has posted a full set of instructions on how to build your own thermoelectric generator, and if you live in a sunlight poor part of the world, you should probably add one to your zombie apocalypse survival kit.